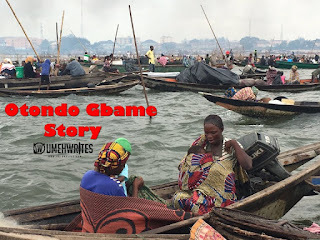 My name is Itabo, I am 16 years old, and this is my Otonbo Gbame Story.I came back from street hustle that evening and found out that our LandLord had thrown out our properties like he said he would. My Mum just lay on our ghana must go bag, crying hopelessly. We’ve been unable to raise money to pay for our rent, and now our only hope was to go back to under one of those bridge. I hated going back to that life, and I swore to do whatever it takes to get us a better life! As Mum and my little sister lay under the bridge, I went to see Kunja my friend. He is one of the notorious, yet friendly guy know. I knew he did some bad things to survive, but I was in a Delima and already made up my mind to help my family.